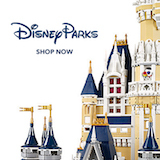 Grand Floridian News - DVCNews.com - The essential Disney Vacation Club resource! Richard Gerth, a fixture at Disney's Grand Floridian Resort & Spa for nearly 30 years, recently passed-away at age 92. According to sources, Walt Disney World resorts are in the process of removing MagicBand touch pads from pool entry points. The feature pool at Disney's Grand Floridian Resort & Spa appears set to reopen sooner than anticipated. The feature pool at one Disney Vacation Club resort will be closing for several months starting right after the new year.